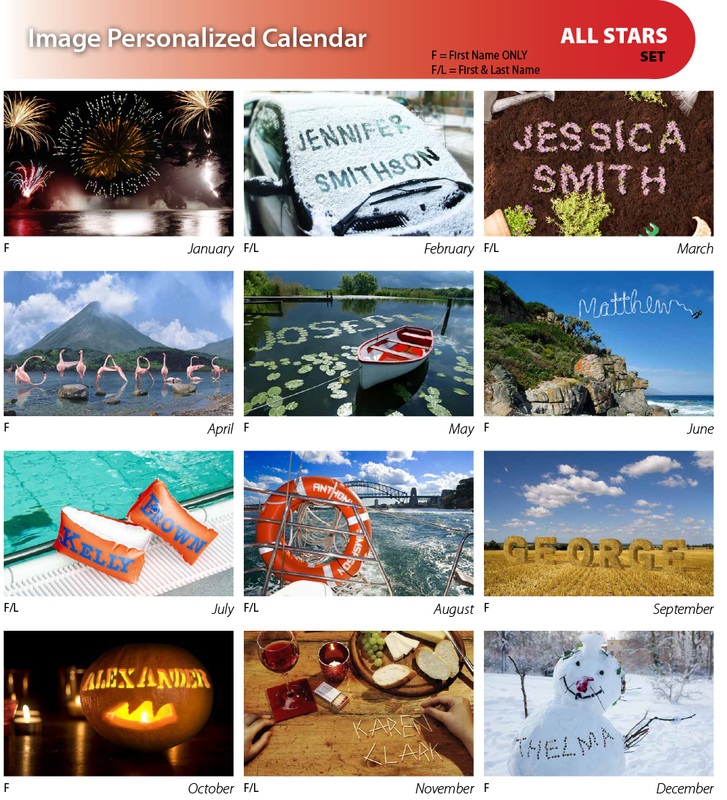 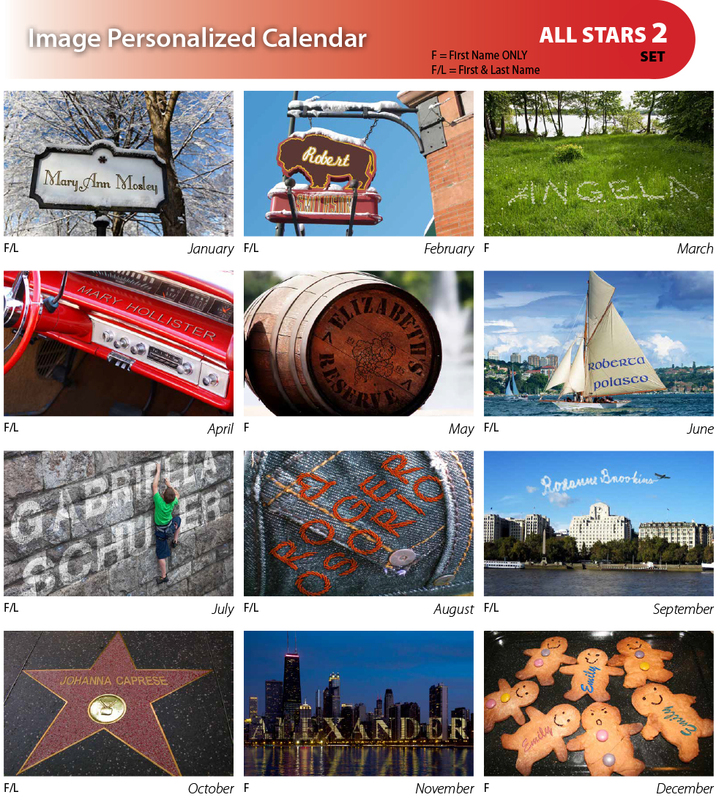 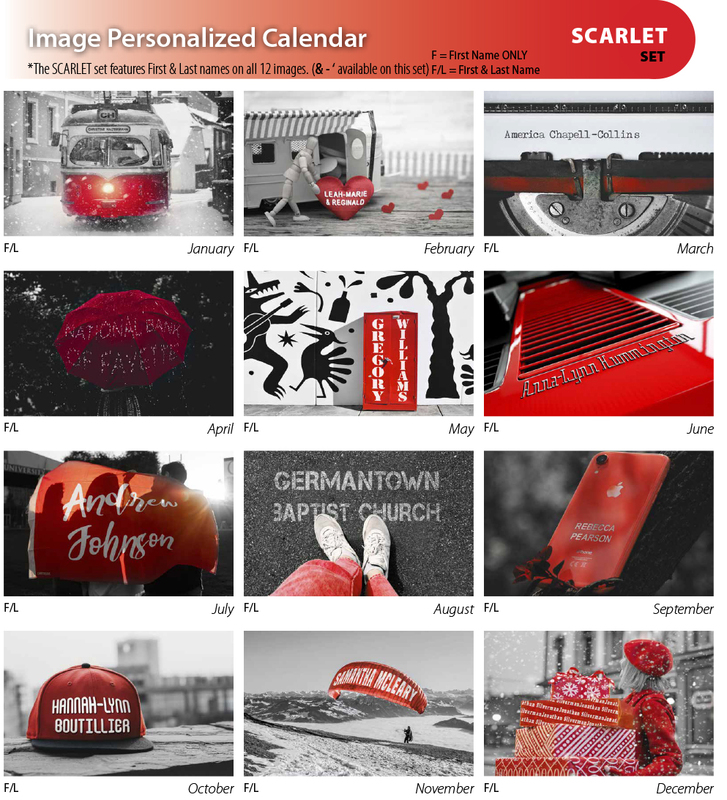 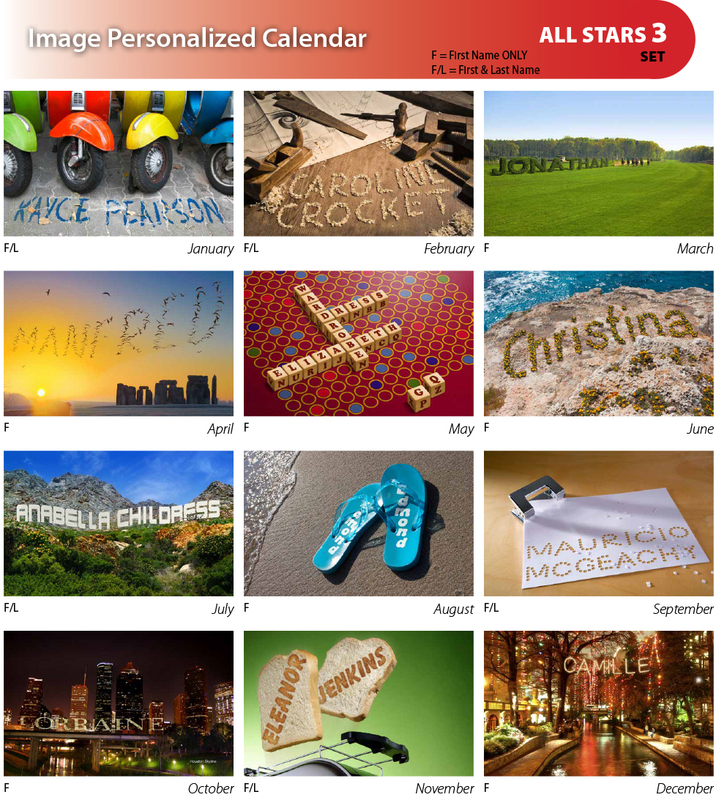 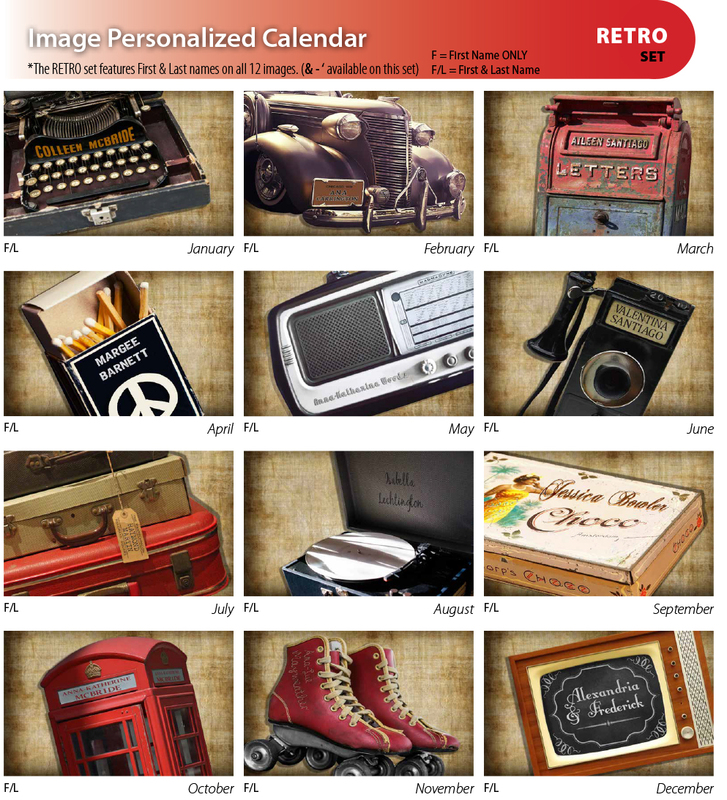 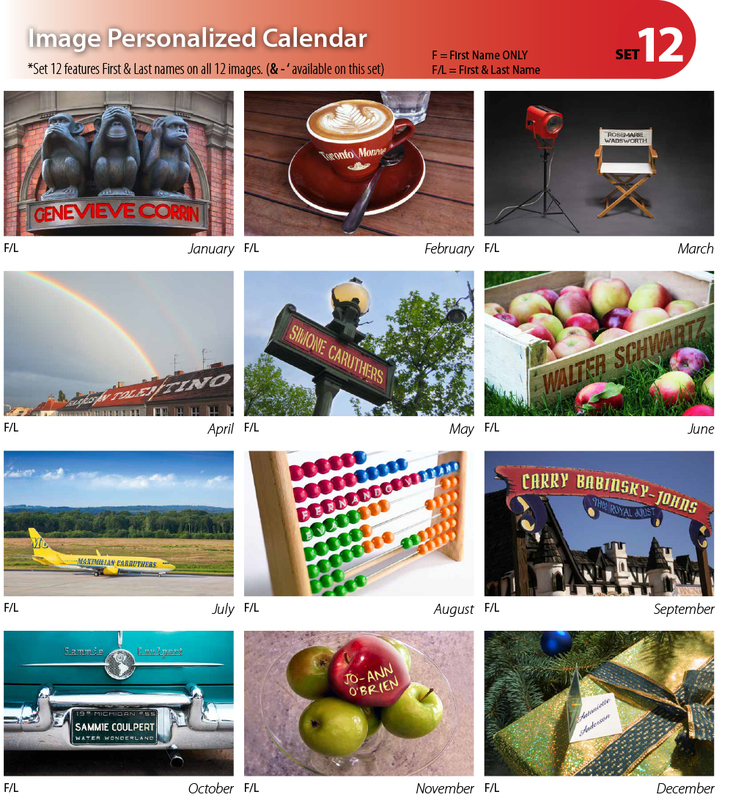 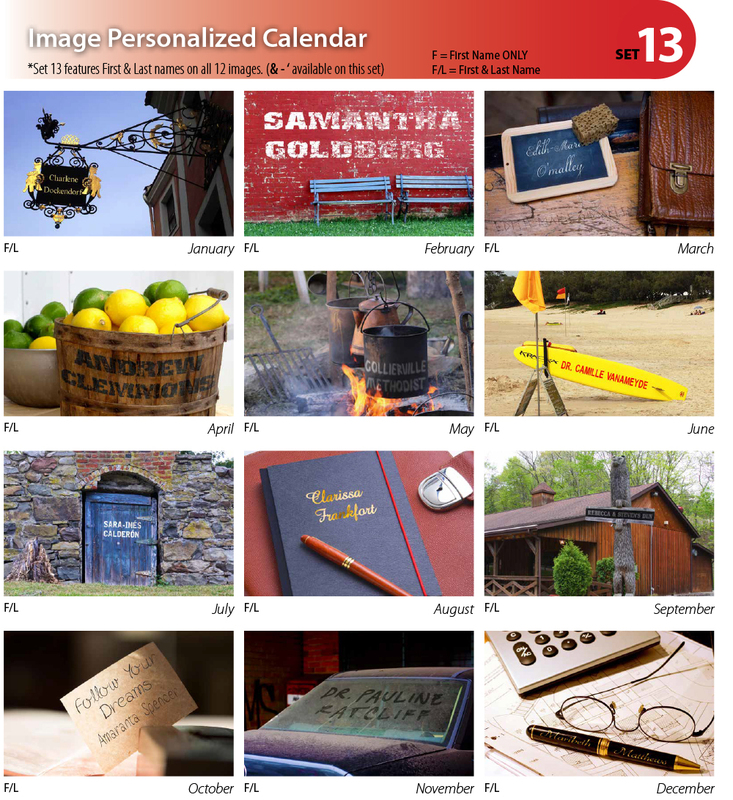 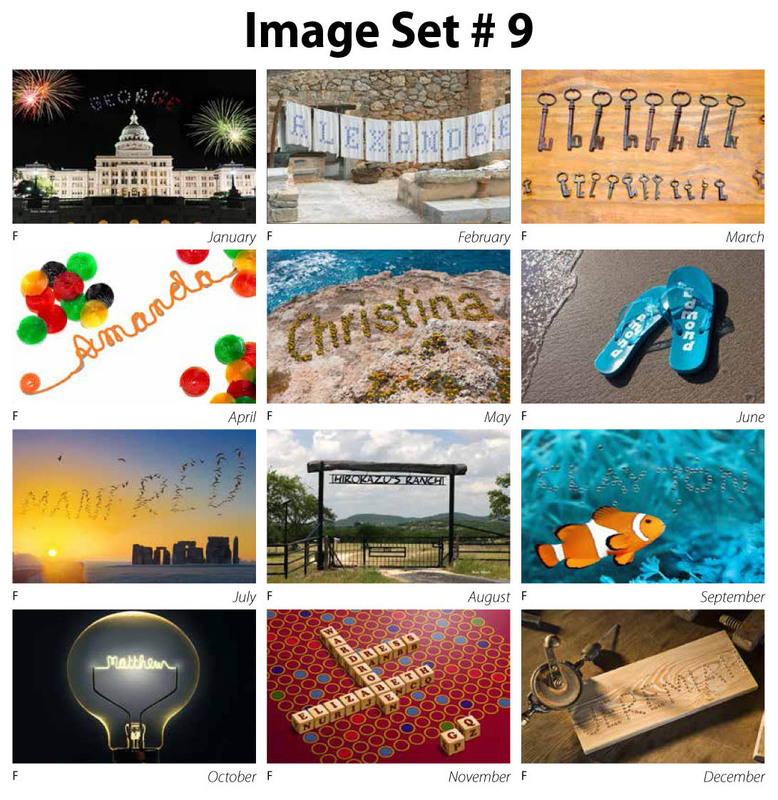 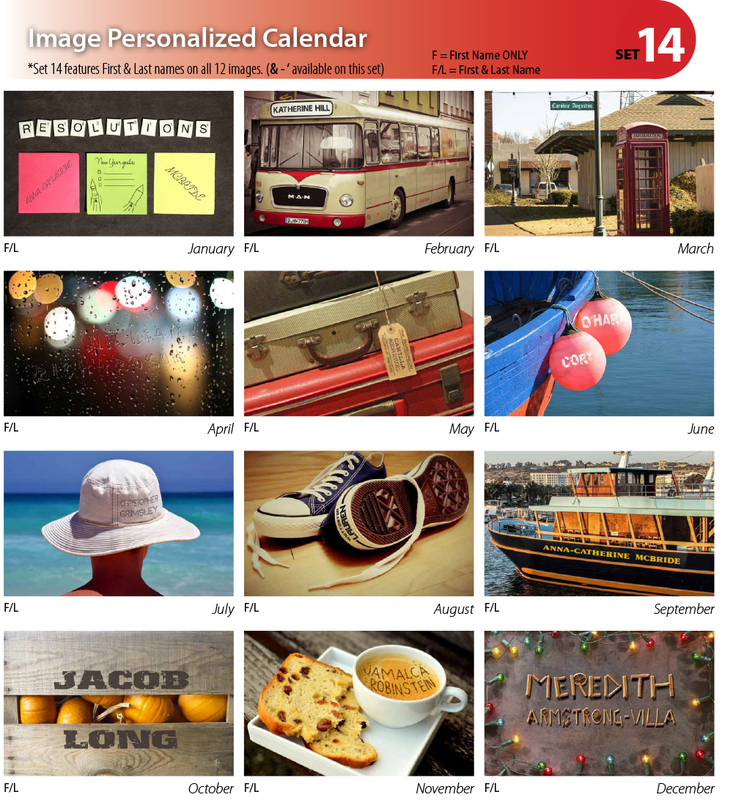 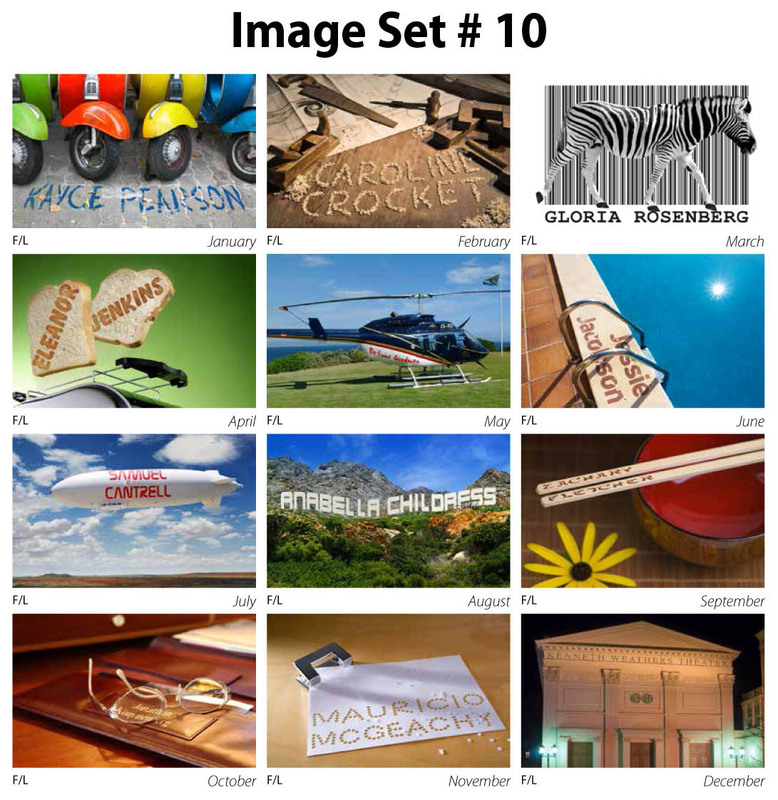 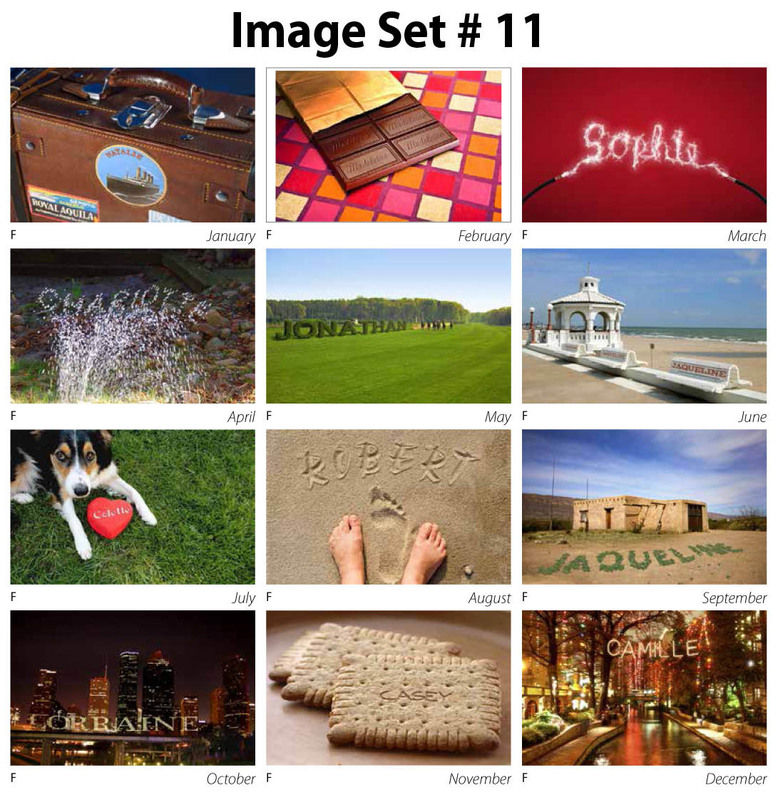 Personalize every Mid-Size desk calendar with your recipients name in the monthly pictures! 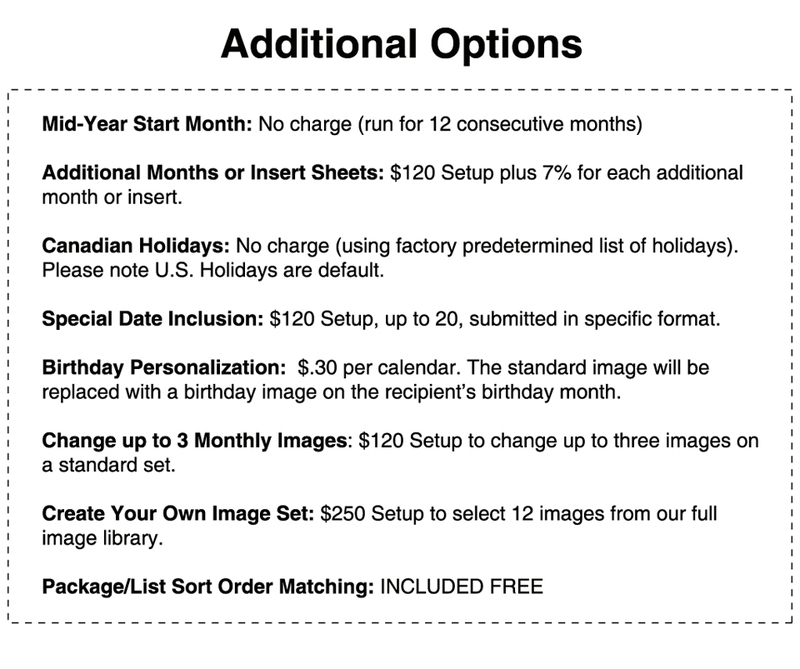 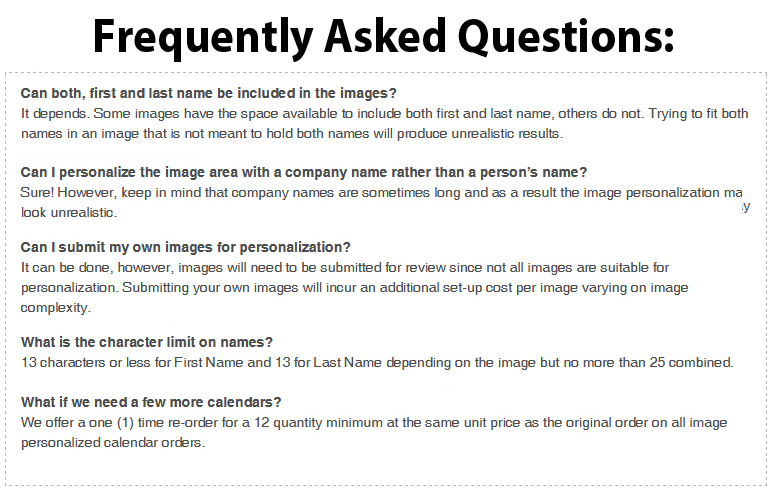 From your supplied Excel Spreadsheet we customize every photo to include the first and sometimes last name (depending on image set) of each recipient. 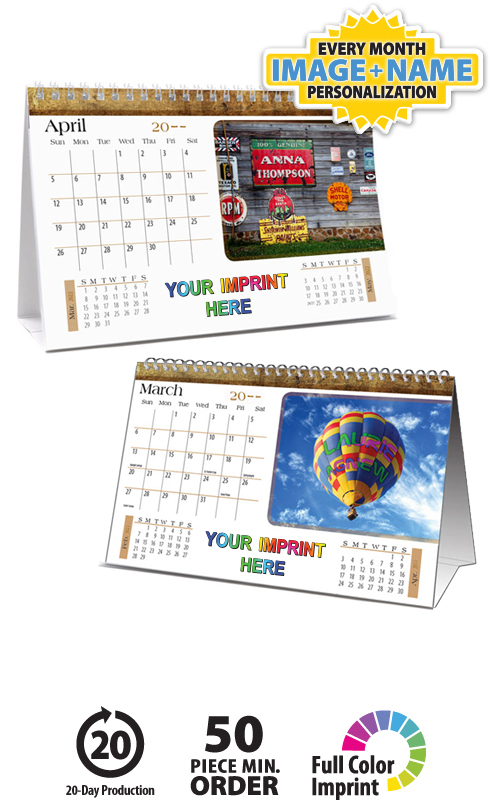 This custom image name desktop tent calendar features twin-loop wire binding along with your own full-color imprint on each month. 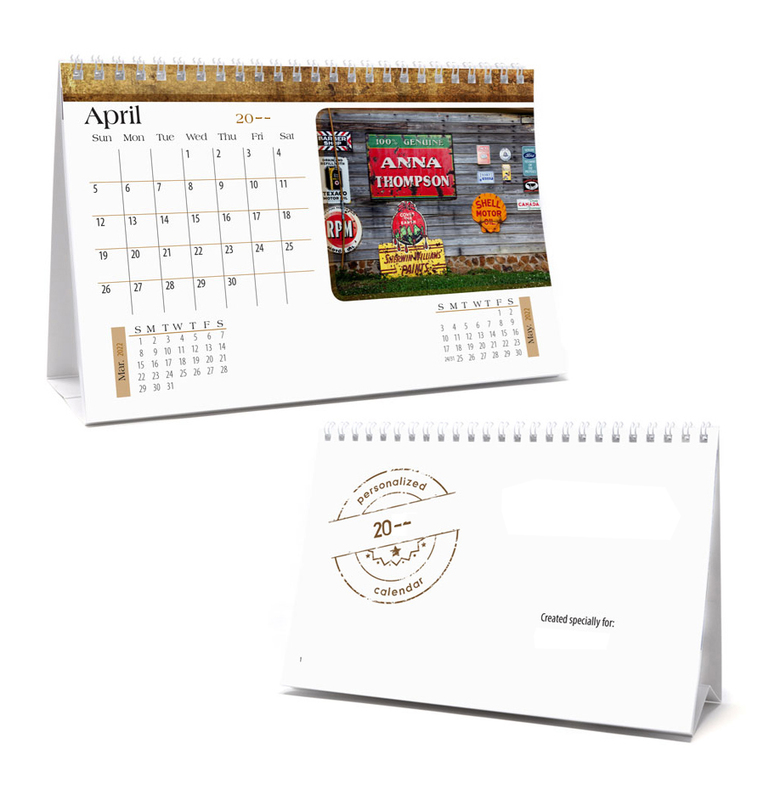 This high-quality Image Personalized Mid-Size Desk Tent Calendar will be loved by your clients and will proudly display your message for the entire year!